As people get older and retire, many express an interest in gifting to younger family members and sharing their savings with those who need help. A common misunderstanding about gifting stems from the IRS annual gift exclusion. Many of my clients correctly identify that any individual may make an annual gift of up to $15,000.00 to another individual, free of tax consequences. However, I advise clients to also consider the consequences of gifting from an asset protection standpoint. Many seniors look to qualify for Medicaid if they require long-term care in a nursing home facility. What they will find is that the IRS and Medicaid have very different rules. Medicaid is a federal program, administered locally on the county level in New York by each county’s respective Department of Social Services. When an individual applies for Medicaid, the county typically flags transfers of $2,000.00 or greater. (This number may vary by region.) This means that if an individual took advantage of the IRS gift exclusion and made annual gifts of up to $15,000.00 to various family members, their Medicaid eligibility could be severely impacted. Gifting comes in many forms that are not always as obvious as a check or electronic bank transfer. Medicaid applicants can face penalties for anything other than money spent directly on themselves. Paying for college tuition for grandchildren, paying off others debts or credit card bills, and placing a child’s name on a property deed are just some of the many examples of gifts. Gifts and related transfers are clear after a five year look-back period. For example, someone applying for nursing home care beginning in March 2019 would not have to answer about any money he/she transferred prior to March 2014. Having made prior gifts or transfers within the past five years does not necessarily disqualify an individual from receiving benefits but it can result in a delay of coverage that is directly proportionate to the amount of money gifted. In other words, an applicant won’t necessarily be denied by Medicaid for prior gifting, but their coverage could start months after it is required. In the meantime, the individual will rack up bills at the private pay rate for the nursing home (often up to $15,000.00 per month), and the nursing home could take legal action to enforce this debt. If you are going to gift or transfer money or assets to your family, the best time to do so is while you are still reasonably young and in good health. No one can predict exactly if or when he/she may require long-term care but if you make transfers early you have a good chance of clearing the look-back period. It is always advisable for seniors to be cautious. Once the gift or transfer is made, the recipient may not be able to pay the money back in the even that Medicaid is required. Rarely do children and other family members realize that the money they are receiving could hurt their parents’ chances of receiving much-needed Medicaid coverage down the line. As an alternative to gifting assets, clients may want to consider estate planning vehicles, such as Medicaid Asset Protection Trusts. After assets spend five years in these specialized trusts, they clear the Medicaid look-back period. Unlike with a gift, money in the trust cannot be lost or spent by third parties. Therefore, if you do need a nursing home less than five years after making the trust, there are ways to go back to square one and undo the trust transfer. That said, if you live healthily past five years from the creation and funding of the trust, and family members are still in need of money, you could use the trust’s specialized “power of appointment” to gift assets to the beneficiaries. For some families, gifting is a necessity. Medicaid eligibility is not always foremost on seniors’ minds when they have a child or grandchild in need. But it is always a good idea to consult an elder law attorney before making a large transfer of money. An accountant may give the greenlight as there might not be any tax implications. But an attorney who concentrates in Medicaid can talk to you and your family about the long-term implications of transferring money. The attorney may be able to help you explore further options, such as structuring the transfer as a loan instead of a gift, or at the very least, he/she can help your family understand the long-term implications of making such a transfer and help you formulate an action plan for what do if you do not clear the five year look-back period. It’s never the wrong time to meet with an estate planning attorney and discuss what you can do now to protect your assets and your family. 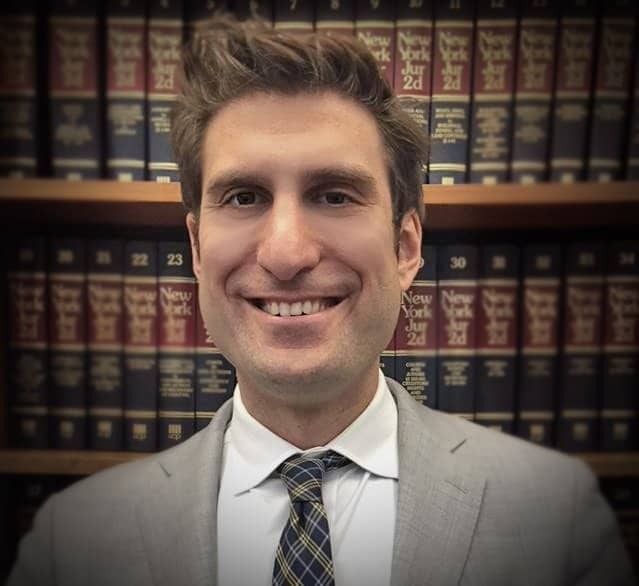 Michael Wagner is an associate concentrating on elder law and estate planning. He can be reached by phone at 866-303-9595 toll free or 845-764-9656 and by email.